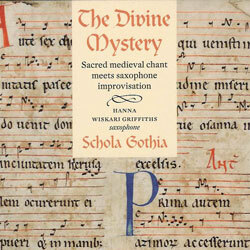 During the 15th century the heterogeneous sound of medieval music gradually changes by a more homogeneous musical taste. Around 1500 the instrument makers started building instruments as “families” with different sizes for high, middle and low range. Gradually the families grew bigger by developing new members for higher and lower ranges. Also new types and families were invented. 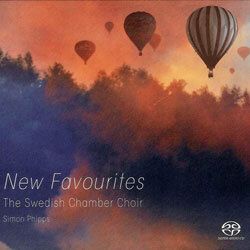 Our recordings display the most representative instruments of the 16th century. The shawms, are loud wind instruments, played with double reeds. 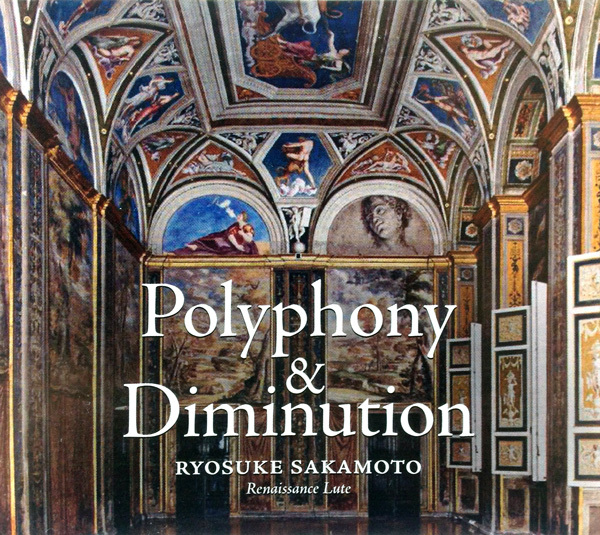 Soprano and alto, predecessors of the oboe and English horn, are to be heard on Vol. I (e.g. #1), and the more rare sopranino, tenor and bass are added on Vol. II (e.g. #11, #22). The double reed is essential also for the curtals (dulcians), whose inner bore is bent like a “U”, so that they appear to be half as big as the corresponding sizes of the shawm family. 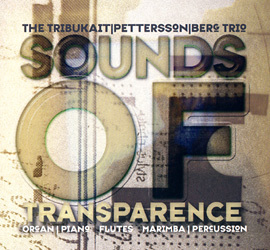 Treble, tenor and bass curtals play on both records (e.g. II:#8). The bass curtal Choristfagott) has the widest use and is the “grandfather” of today’s bassoon. On Vol. II even the still bigger Quartfagott is heard in a low curtal quartet (TBBQ, #23). The sackbut, or trombone, appeared in its almost modern form and construction as early as about 1440. It was soon built as a family, the most important sizes of which were treble, tenor and bass (e.g. II:#31). Trombones blend well with shawms and curtals (I:#1, II:28) and often form a homogeneous combination with a cornett in the top part (e.g. II:#25). 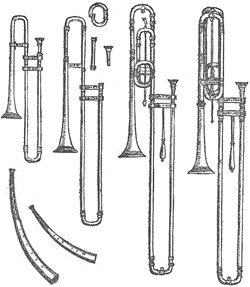 The latter is blown with a cup mouthpiece like the brass instruments but has got a conical tubing, mostly made of wood and provided with fingerholes. All these instruments belonged to the musica alta (loud music), used for outdoors and hall music by both court and town musicians. The contemporary trumpet had musical limitations (fanfares within the harmonic series) and was socially restricted to ceremonial and military functions employed by the nobility. To the more intimate music, musica bassa, belong primarily the string instruments, flutes and recorders. A small diatonic harp with medieval traditions has got some tasks on Vol. II (#4, #20). Much more important in the Renaissance was the lute with short neck, rounded back and gut strings. It is presented here both single (I:#17) and in various ensembles (e.g. I:#39, II:16). On Vol. II (#30) a very small lute, called mandora, is used, and for a “broken consort” on Vol. 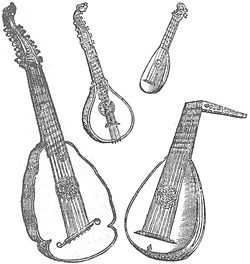 I (#18), two of the lute-players have changed to the brightly sounding cittern and the darker pandora, instruments with a flat back and metal strings. Of the bowed strings we notice the viols (viola da gamba) in its main sizes: treble, tenor and bass on Vol. I (#36), and the bass combined with violin and viola (da braccio) on Vol. II (#16). In the 16th century, the violin was still looked upon, more or less, as a rustic fiddle, appropriate for dance music. 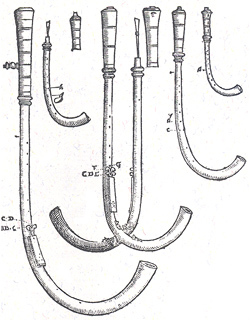 Without modern counterparts are the crumhorns (German krumm = ‘bent’). Due to their buzzing sound and limited compass (a ninth each), they have a preference for playing in “whole consort”, i.e. as a homogeneous family (e.g. I:#2, I:#24). One piece on Vol. I, though, uses in a combination with softer instruments a single cornemuse, a straight, muted variant of the crumhorn (#6). 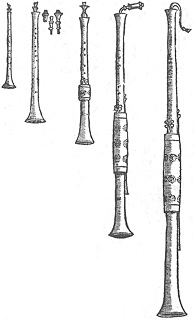 Typical for these instruments is the so-called wind cap enclosing the double reed. As the reed then cannot be directly controlled by the player’s lips, just one level of dynamics is possible on a capped wind instrument. In one piece on Vol. II (#16) we encounter the contrabass of the rackett family. This lipped double reed instrument has a peculiar construction. The biggest size, outwardly not longer than 3½ dm, has seven parallel connected borings, making a cylindrical tube of almost 2½ m, which permits the small instrument to sound in the same register as the double-bassoon of the modern orchestra. The regal, a small table organ with reed pipes, produces a sound reminiscent of the homogeneous crumhorn consort. On Vol. II it is used both single (#2) and for accompanying cornett and sackbuts (#6). 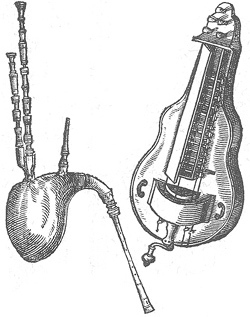 Concerning construction and sound, the crumhorn and cornamuse have a relative in the bagpipe, which conveys a rustic character to many dances. A similar effect is obtained by the hurdy-gurdy, a string instrument. Both chanter (melody pipe) and drone pipe(s) of the bagpipe are blown together through the wind bag. The corresponding melody and drone strings of the hurdy-gurdy are all activated by the friction of a rotating wooden wheel, turned round with a crank. Their shrill, piercing and “perpetual” drone sound excludes their employment in a more sophisticated polyphony. They are particularly frequent on Vol. I (#3, #15, #21, #27, #31). 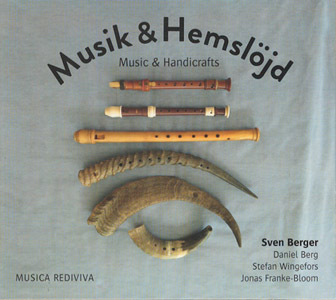 Another touch of folk-music is transmitted by the standard combination pipe and tabor, heard only on Vol. I (#4). The “one man band” uses one hand for playing a recorder-like fipple flute with only three finger-holes and handles the drum-stick with the other.